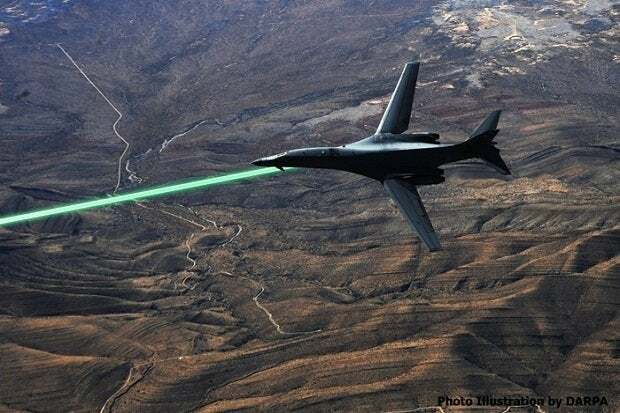 The U.S military will come one step closer to its dream of arming fighter jets with ray guns this summer, as DARPA shifts one of its hottest laser projects onto White Sands Missile range for field tests. In lab and development tests in which it was pitted against mortars, low-flying missiles and drones, the High Energy Laser Area Defense System (HELLADS) produced "unprecedented power and beam quality for its size," according to a public statement from Rich Bagnell, HELLADS program manager at the Defense Advanced Research Projects Agency. The system -- which is designed to deliver precise, non-explosive destructive power in a package one tenth the weight of comparable lasers and small enough to be carried on anything from a Humvee to a fighter jet -- will advance to its next round of testing with the Air Force Research Lab at White Sands Missile Range, New Mexico this summer. The 14-year-old project is two years late in putting a unit into the field, but is considered revolutionary because it is small and light enough to be mounted on anything from troop-carrying Humvees to fighter jets to remote-operated drones such as the Predator and Global Hawk. The potential of a laser to destroy incoming missiles or shells or to destroy targets on the ground with less collateral damage than weapons that explode has made directed-energy weapons the holy grail of modern weapons development for more than 50 years. It is far ahead of competing programs like the megawatt-class Airborne Laser (ABL) system designed to bring down ballistic and cruise missiles in flight, but was too big to fit in anything smaller than a 747 and couldn't kill ballistic missiles rising off the launch pad unless it was far too close to enemy airspace and anti-aircraft missiles to be practical. ABL was considered unworkable almost from the day it was launched, but wasn't officially killed until 2012. 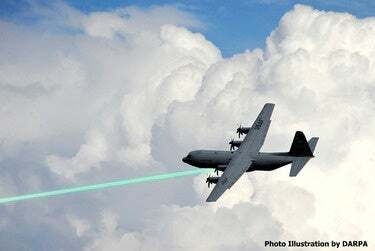 The Pentagon has kept up the effort with other laser systems, most of which used chemical lasers and many suffering from beam-misalignment (focus) problems that meant even those so large and powerful they had to be mounted on Navy ships would have to focus on a target for several seconds before destroying it, according to ArmyTechnology.com. In December, 2014, the Navy deployed the amphibious transport ship USS Ponce to the Persian Gulf with orders to carry and test the Navy's laser weapon system (LaWS). LaWS' solid state infrared laser is quick enough to attack unmanned aerial vehicles (UAVs) or swarms of small boats like the one that successfully attacked the USS Cole in 2000, but not to shoot down incoming aircraft or missiles. At about a dollar a shot, the 30kW LaWS is a cost-effective weapon with its power turned up, or can act as a warning shot, dazzling or frightening potential targets with its intensity dialed down, according to a Navy release quoting Rear Adm. Matthew L. Klunder, chief of naval research. The Marine Corps is also developing a laser system designed to be built into Humvees or light trucks and other vehicles. None of the other systems is as versatile, light or powerful as HELLADS, which is five times as powerful as LaWS, but is designed with features like the ability to be powered by lithium-ion batteries that make it light enough to be easily transportable or be mounted on any vehicle. The system is liquid cooled, solid state and driven by diodes similar to those that produce lasers in fiberoptics and other information-technology systems. HELLADS is also quick to acquire and focus on targets, thanks to a system the Aero-optic Beam Control (ABC) that DARPA designed in conjunction with Lockheed Martin to provide a system that can lock on to a target, focus a high-energy laser and keep it focused there until the target is destroyed -- a particular weakness for lasers carried by planes or other fast-moving vehicles unstable enough that a laser night otherwise wave around enough to only warm up a target rather than burn it out. ABC is designed to focus on a target regardless of where it is in relation to the vehicle, potentially allowing fighters or drones do defend themselves from incoming missiles regardless of the angle. Neither HELLADS nor ABC is up to the task of acting as an offensive or defensive weapon at altitudes of 65,000 feed and speeds of between Mach. 6 and Mach 2.5 -- as required by a project proposed by the Air Force Research Laboratory in 2013. General Atomics is reportedly working on versions to be mounted on ships at powers as high as 300kW -- which could cut through the superstructure of a ship, according to Ars Technica -- and as a possible replacement for the Navy's ship-defending High Energy Laser (HEL) system and similar efforts by the Army. The first tests this summer will be on ground-mounted lasers defending against mortars, drones and dummy missiles, but tests of the system mounted in fighters or drones could come as early as 2016. DARPA predicts the system could be deployed in fighters, drones, bombers and cargo planes as well as ships and fighters.